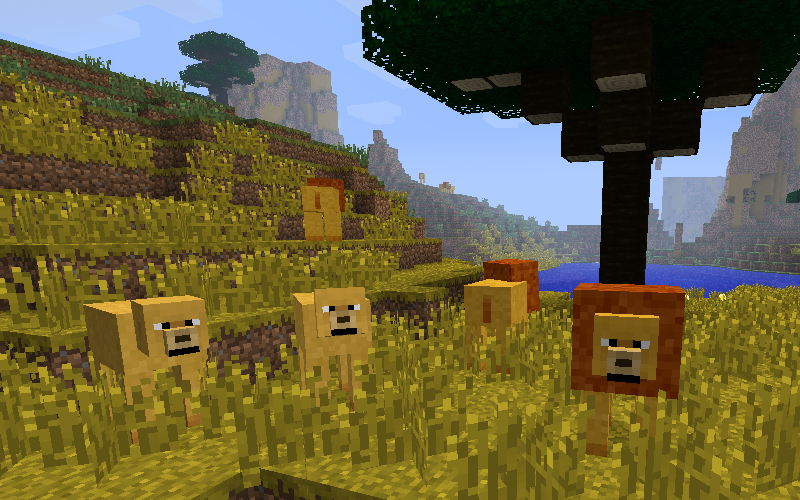 The Lion King Mod is a mod which aims to bring together the worlds of Minecraft and Walt Disney’s much-loved film, The Lion King, by adding various Lion King-themed things – content from the movie, and lots of other features which enhance this experience! 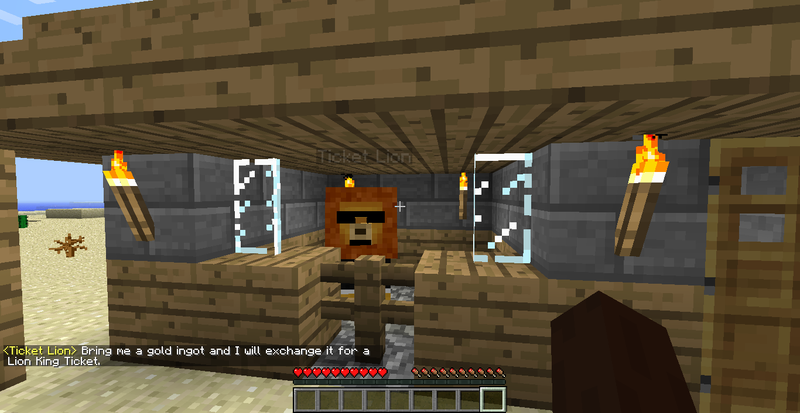 When you install the mod, you will find that Lion King Ticket Booths have started appearing in new worlds you create, and unexplored areas of old worlds. The Ticket Lions inside these booths will sell you a Lion King Ticket in exchange for a gold ingot, which you can then use to activate the portal inside the theatre. 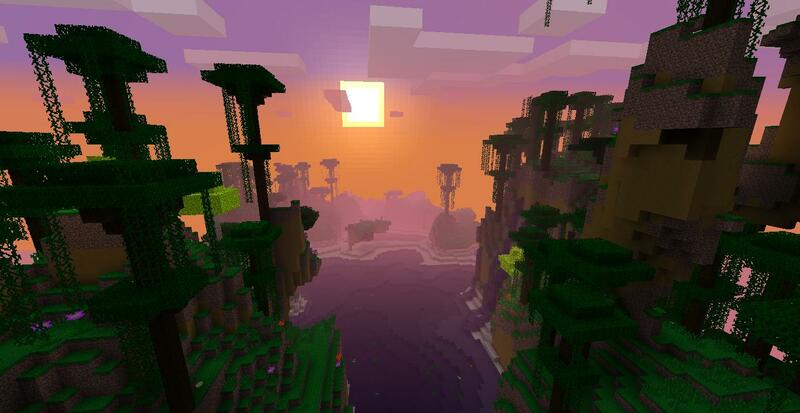 This portal will take you to the Pride Lands, an entirely new realm with many new animals – all of which can be bred – new trees, flowers, materials, ores, and different biomes just like the normal Minecraft world. With so many places to explore and characters to meet, once you’re through the portal, you’ll never want to go back! At the centre of the world Rafiki lives in an enormous tree and he can entrust you with a quest, which will reward you with such things as Rafiki’s own stick, access to the dark, dangerous Outlands dimension, and ultimately a Star Altar which can be used to summon your own companion Simbas, who will fight alongside you and carry your items. First, you will need to obtain a Gold Ingot. 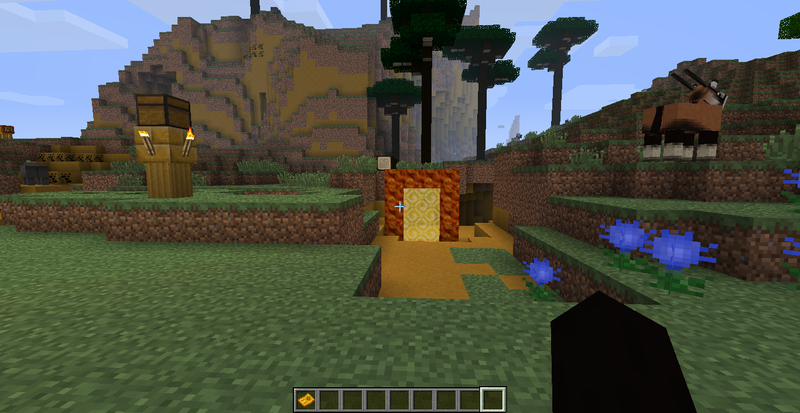 Take the gold and go wandering until you come across a Lion King Ticket Booth – they’re most common in swamp, plains, and desert biomes, because of the flat terrain, but they can rarely be found elsewhere. Give your gold to the Ticket Lion to receive a ticket, then go through into the back room and activate the portal with it. You may want to take some supplies, but the Pride Lands are fully habitable, that is, all materials needed to live and thrive in the Pride Lands can be obtained in the Pride Lands. If you die in the Pride Lands, you will respawn there, and beds work normally in the Pride Lands. 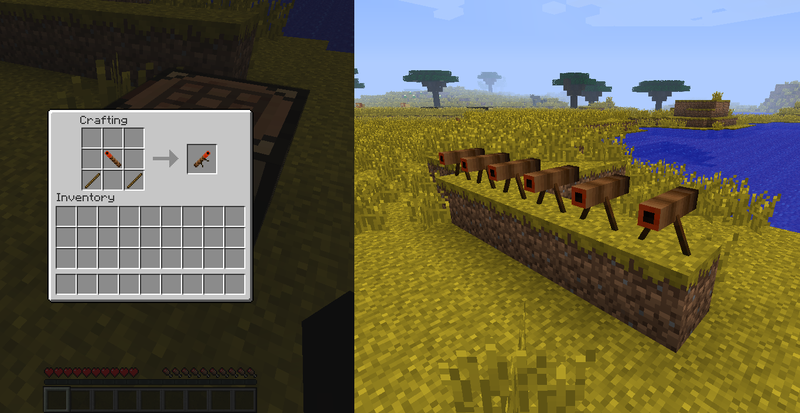 You can use lion fur in place of wool if you wish to craft a bed. When in the Pride Lands, standing inside an active portal will set your spawn to the portal. 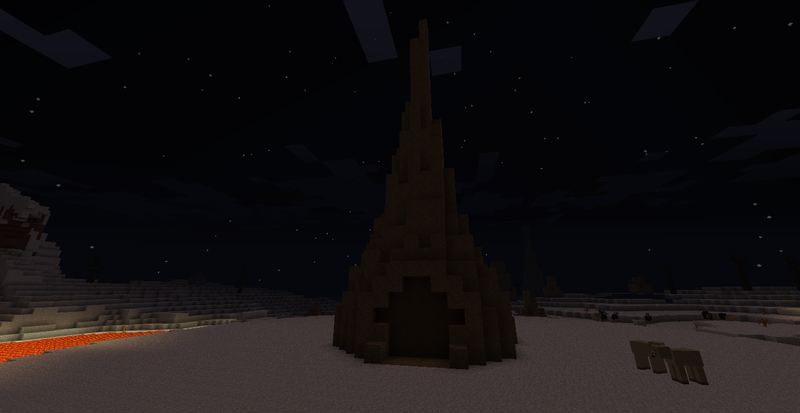 Upon entering the Pride Lands for the first time, a small pedestal with a chest on top will appear near the portal. Inside the chest you will find the Book of Quests, a very valuable item, and essential should you choose to take part in the quest line available in the Lion King realms. 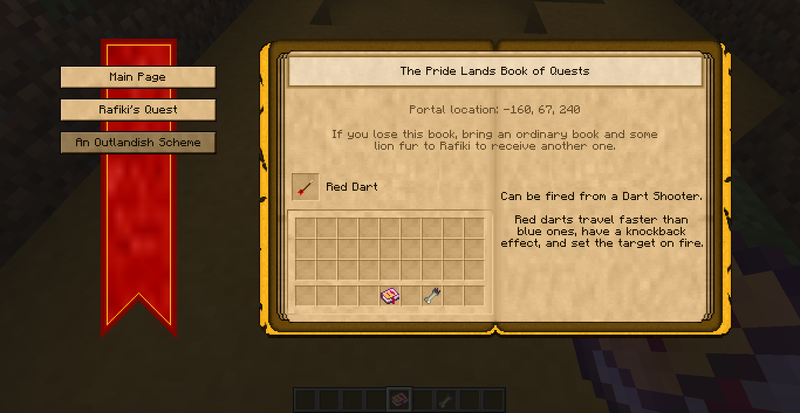 The book records the location of the last Pride Lands portal you entered, and will give a description of any Lion King item placed in the slot on the main page. If the item is involved in any crafting recipes, whether an ingredient or the result, you can press the recipe button that appears above it to cycle through these recipes. However, its most useful feature is the ability to track your progress in quests. 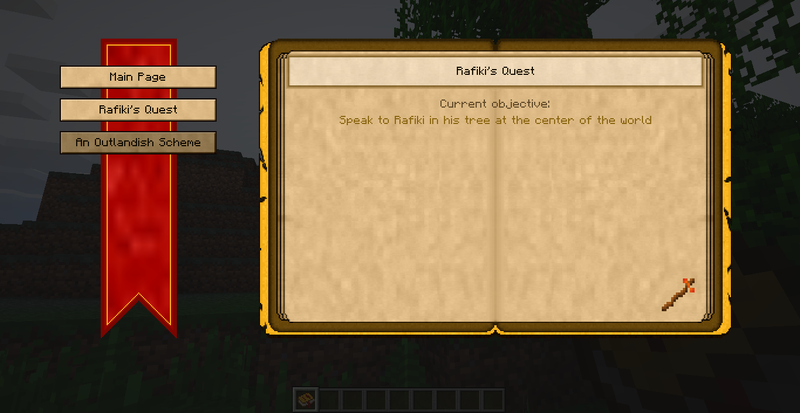 Each quest in the game has its own page in the book which displays the current stage of the quest, all past stages which have been completed, and the requirements to start the quest if there are any. At the moment there are only two available quests, but many more are planned for future updates. Once you’re in the Pride Lands, if you want to find Rafiki and start his quest, make your way to the centre of the world at x and z coordinates 0. 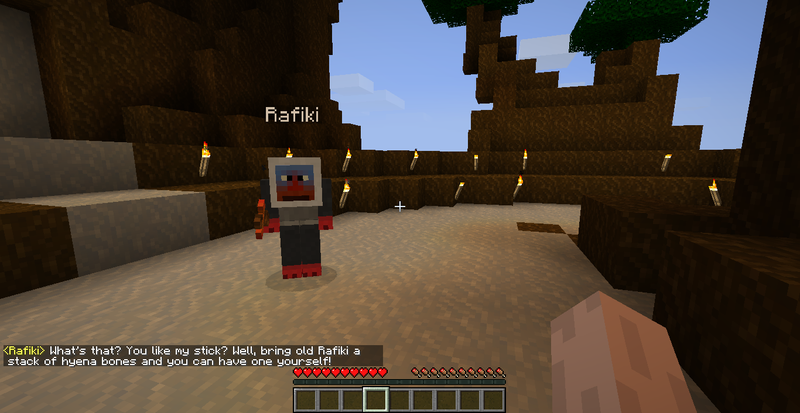 Interact with Rafiki and he will give you tasks to complete. The first task is to collect 64 hyena bones. When you give Rafiki a full stack of hyena bones, he will give you a Rafiki Stick. In addition to being a (relatively weak) weapon, the Rafiki Stick can be used to grow Pride Lands saplings, grow Pride Lands flowers on grass, fertilise crops, and perform various other actions. More Rafiki Sticks can be purchased with additional stacks of hyena bones, in case you lose or break one. The next stage, and the last one I will detail here, is to find Scar and kill him. Scar will be in a cave around layer 20-30, anywhere from X coordinates -80 to 80 and Z coordinates -80 to 80. Scar only takes damage when you hit him with the Rafiki Stick. The Rafiki Stick also is not damaged by hitting Scar. Scar is quite difficult to kill, so “Be Prepared!” After killing him, there are a few more stages before the quest is complete and you receive your final reward. When Rafiki asks for ‘ground’ items, you will need to use a Grinding Bowl, which is explained in more detail – along with the crafting recipe – in the Grinding section below. At any stage in the quest, you can give Rafiki three silver ingots and he will swap them for a special coin which teleports you back to him. 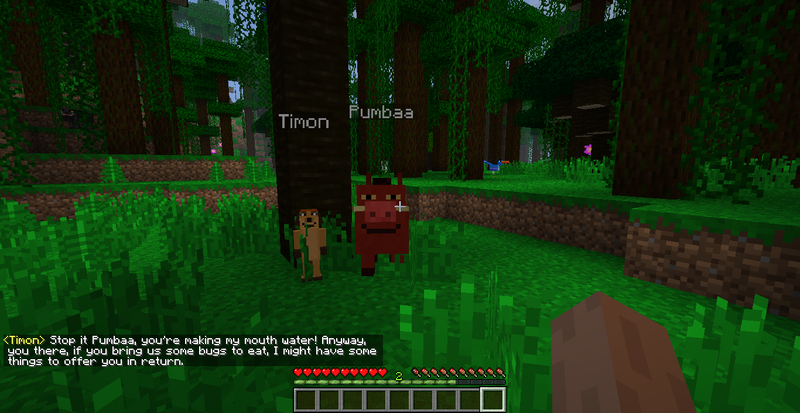 If you’re not yet ready for Rafiki’s quest, or you just want some useful items, head to Timon and Pumbaa, who can usually be found somewhere about a hundred blocks from Rafiki’s tree. Timon and Pumbaa are extremely hungry, and who could do a better job of finding them some food than yourself? Timon and Pumbaa like to eat bugs which live under logs. Fallen logs can be found throughout the Pride Lands, although they vary in biome distribution and are most common in the rainforest. When one is broken, a bug may crawl out from under it. Bring Timon some of these bugs to purchase an item from him. – The Animalspeak Amulet, a unique item which when worn allows you to speak to animals! Most of the time they’ll make a friendly but ultimately pointless remark about the kind of things animals would talk about, but sometimes they will give you a ‘mini-quest’ where you will have to find some of a certain food item for them. If you bring them the food, they will reward you. Baby animals haven’t learned to talk yet and can only make noises. 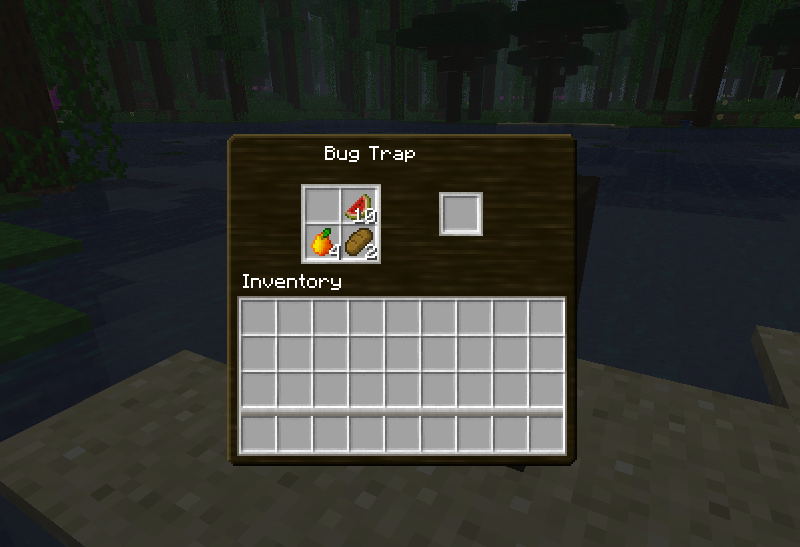 Since version 1.5, there is another way to obtain bugs – the Bug Trap. 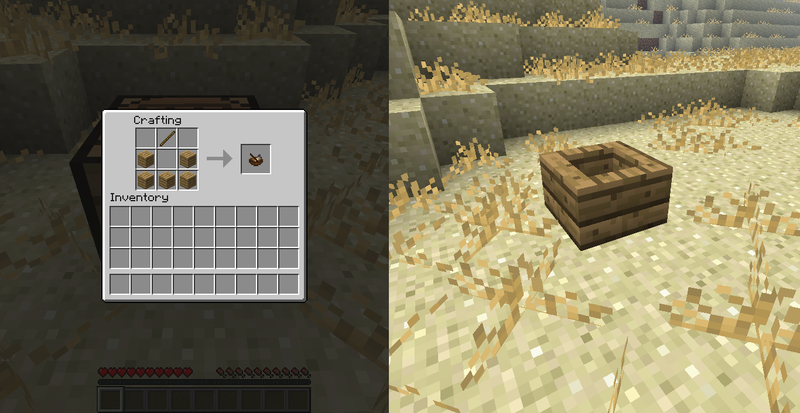 This is a new block which is crafted using five acacia wood, two silver ingots, a bug and a stick – look in the Book of Quests if you are unsure. 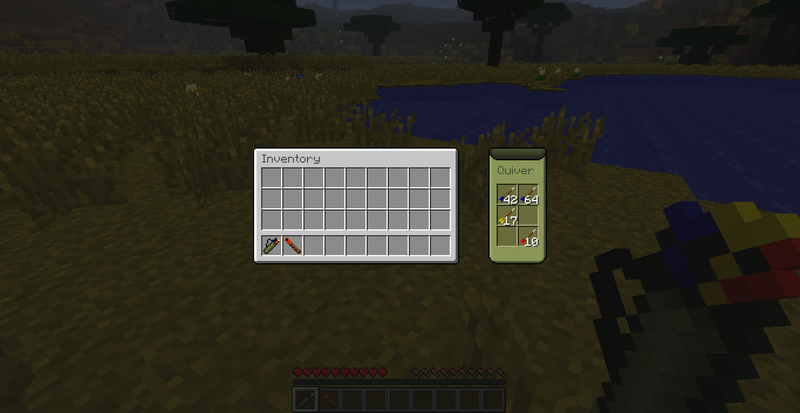 Interacting with the block opens up its inventory screen, where you can put in certain forms of bait to attract bugs. The bait you put in can be seen in the world too, hanging from the stick at the top of the trap. The trap will only accept foods which the bugs like to eat as bait. This includes things like mangoes, bread, corn, and basically any food which isn’t meat. Foods which heal more hunger points are also the best to use when catching bugs! From time to time, a bug will appear near a baited trap and crawl towards it. The bug will eat one random piece of bait, and then get sucked inside the trap, where it can be collected from the slot on the right of the trap’s screen. – Using the trap in any realm other than the Pride Lands – there’ll be no bugs at all there! Even taking all these things into account, the bugs still won’t spawn that often. If you can’t catch any, leave the trap alone and come back to check later, or go looking for more fallen logs. So what is there to see in the Pride Lands? 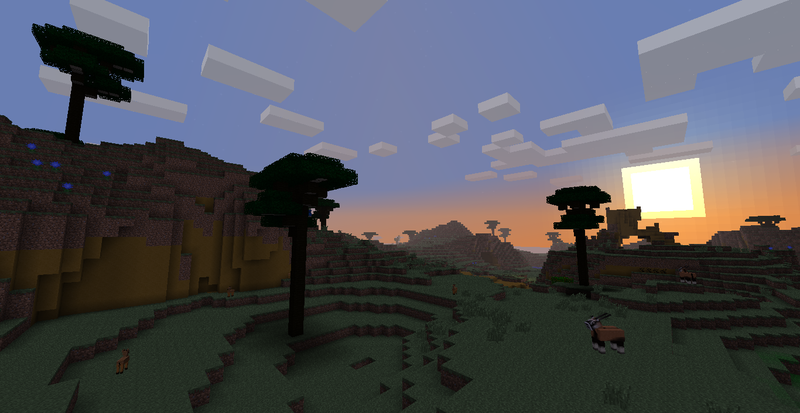 From biomes to trees, ores to dungeons, read on to find out more about what the Lion King world holds. 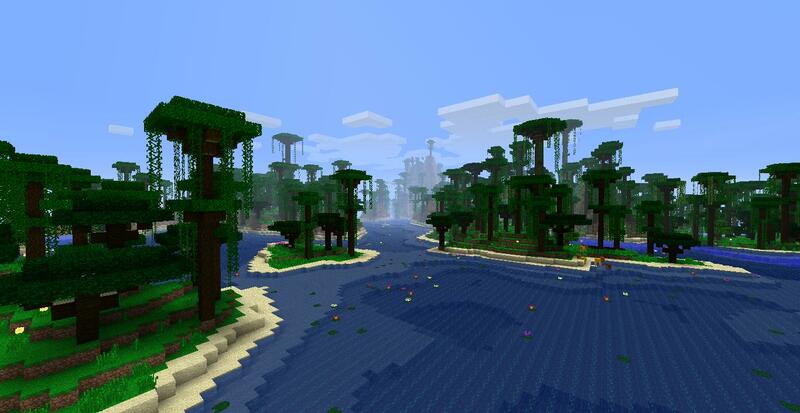 One of the first biomes you are likely to see is the Savannah. 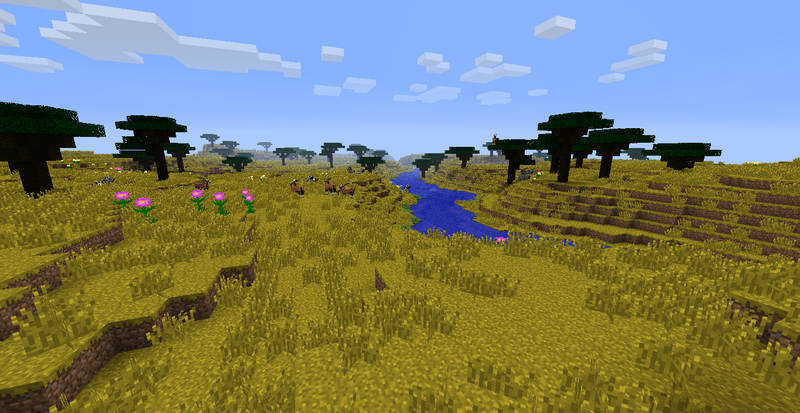 This biome features yellow grass, acacia trees, lots of tall grass and patches of yellow flowers. Animals are plentiful, and the terrain is mostly flat except for the occasional hill and water hole. Yams can be found in the savannah and grown on farmland as crops. The Rainforest biome contains tall, towering trees, lakes and rivers filled with water lilies and surrounded by beaches, tall purple flowers, and bright green grass and ferns. Forested mountains rise above the rainforest floor with trees that touch the clouds, Zazus are everywhere, and this is the biome where fallen logs are most often found. With wide, rolling hills and deep valleys, the Mountains are a place for great scenery. 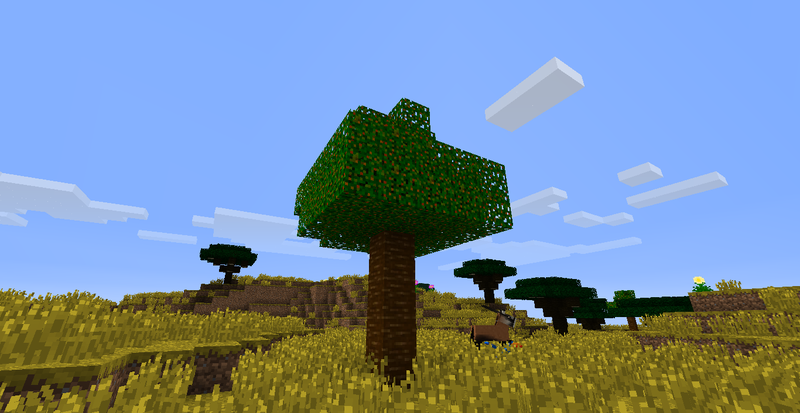 Acacia trees grow taller in this biome and blue flowers can be found on the hillsides. 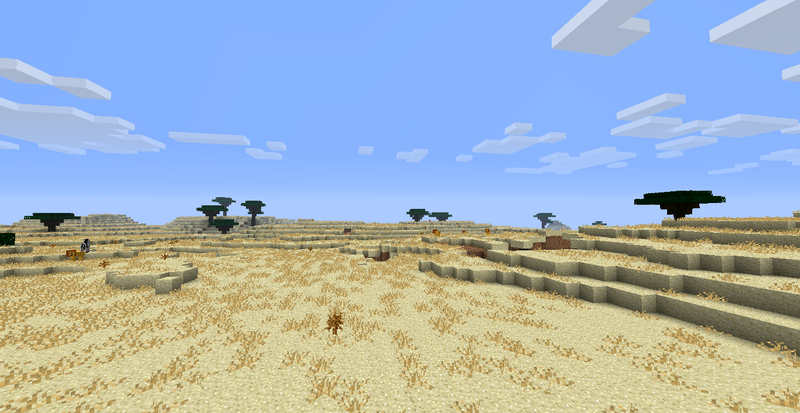 The Arid Savannah is a desert-like biome with parched grass and sparse acacia trees. Kiwano fruits, also known as African Horned Melons, grow here, and can be farmed by tilling sand with a hoe. Only the sand in the arid savannah itself is able to sustain these fruits. 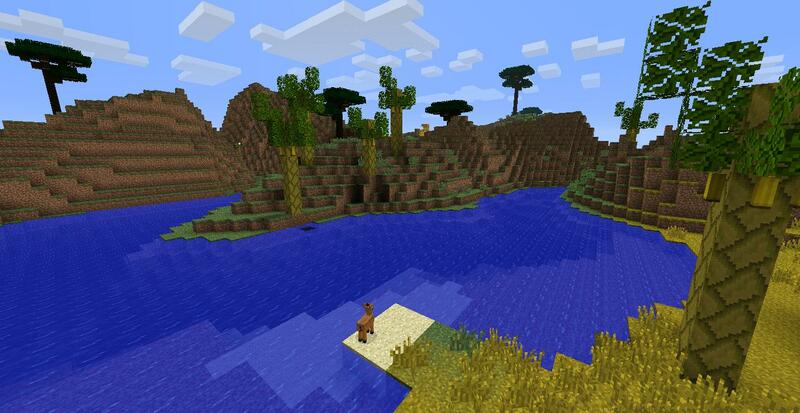 Rivers wind through the Pride Lands, often separating other biomes. Banana trees sometimes grow along the riverbanks. Something to look out for in the Pride Lands are the Mango Trees. 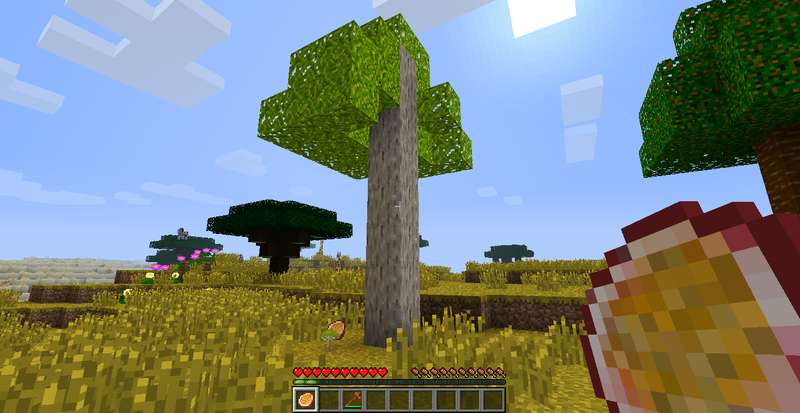 These trees can be found in most biomes and when their leaves decay or break, in addition to saplings, mango fruits will fall to the ground. An orchard of mango trees can provide a reliable food source but the mangoes are useful for other purposes too: there are various recipes for more complicated dishes involving mangoes, and Ground Mango made in the Grinding Bowl can be used to make Dart Shooters, very useful weapons which are explained in more detail below. Stalks of Maize can be seen growing by the riverside or in lakes. Maize stalks can be farmed next to a block of water (and will grow more quickly if planted on farmland) to grow a crop of corn, which can then be picked from the stalk or broken along with it. Corn can be eaten raw, but it can also be cooked into popcorn in a furnace in order to restore more hunger, and because, well, popcorn! Many animals that eat wheat to breed also like corn and will accept it as an alternative breeding food. 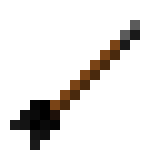 The depths of the Pride Lands also hold new treasures: as well as coal making a reappearance, Silver Ore can be found, mined and smelted into ingots for making tools and weaponry. Silver tools are slightly more durable and longer-lasting than iron tools, and are able to receive better enchantments at a lower experience level. 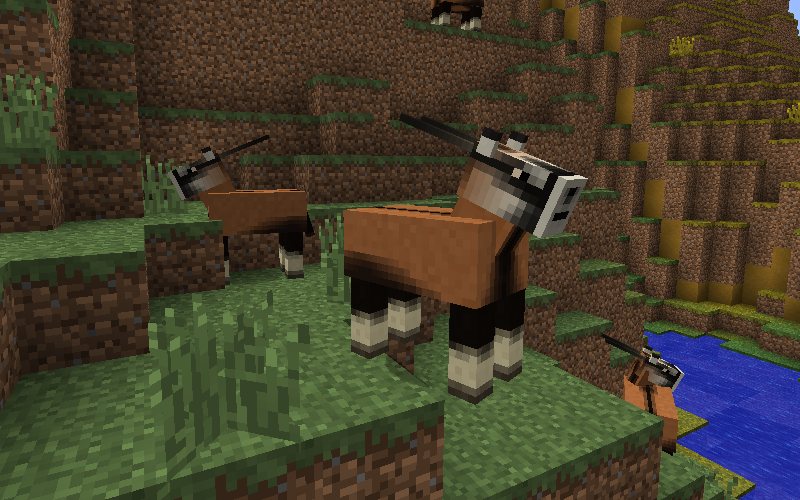 Silver ingots have a number of other uses including crafting saddles for giraffes, making the upgraded Dart Shooter, and as decoration in block form. The Pride Lands also has its share of Dungeons. 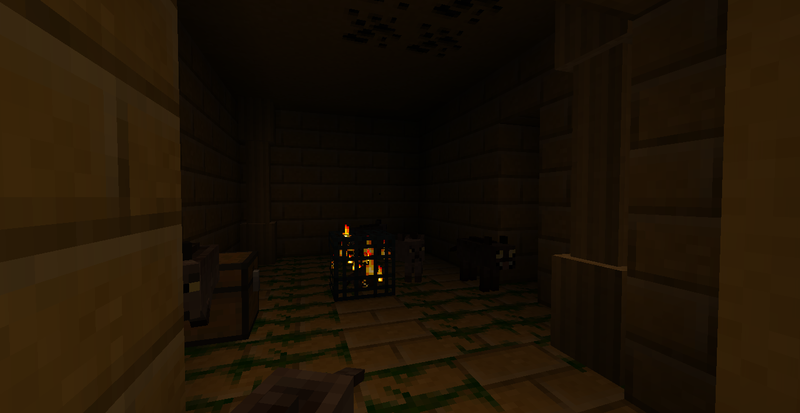 Hyenas spawn in these chambers, guarding worthwhile loot such as darts, enchanted tools and weapons, useful materials, and even some rare items that cannot be obtained anywhere else. Sometimes a dungeon may spawn crocodiles instead of hyenas and while these often contain more loot than hyena dungeons, the defenders are stronger… so be prepared! There are many new animals to be found in the Pride Lands, and I hope to add even more! If you have an idea for an animal you’d like to see, tell me and I will consider adding it. It wouldn’t be the Lion King without Lions and Lionesses. These animals are found commonly throughout the world and can be bred with Hyena Bones. If you attack a Lion or Lioness, it will fight back, and if you attack its cubs it will also attack you. You can calm angry Lions and Lionesses down again by feeding them some Zebra Milk. Lions and Lionesses drop their meat, and fur which can be made into decorative rugs and dyed after being whitened. 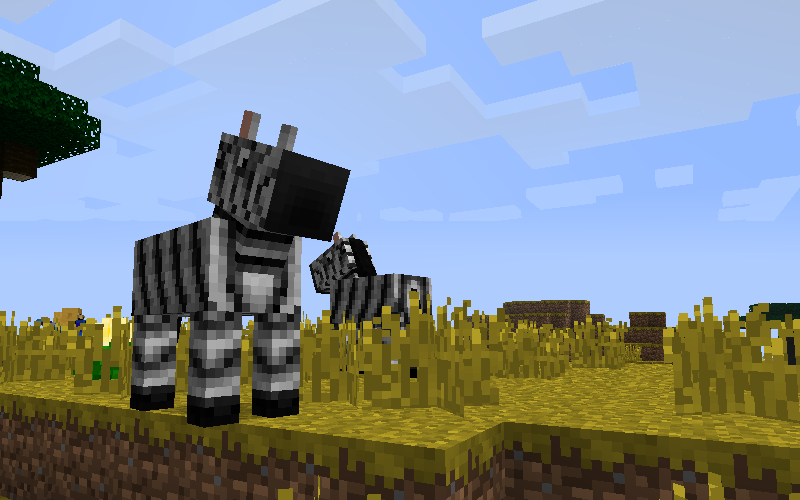 Zebras drop their meat and also Zebra Hide which can be used in crafting, most notably Zebra Boots which allow you to run even faster than a Zebra can. They can be milked with a Pridestone Jar. Zebras are bred with either wheat or corn. They are black with white stripes, not the other way round. Rhinos are bred with wheat or corn and drop Rhino Meat, and Rhino Horn which can be placed in a Grinding Bowl and used to increase the offspring of breeding animals. 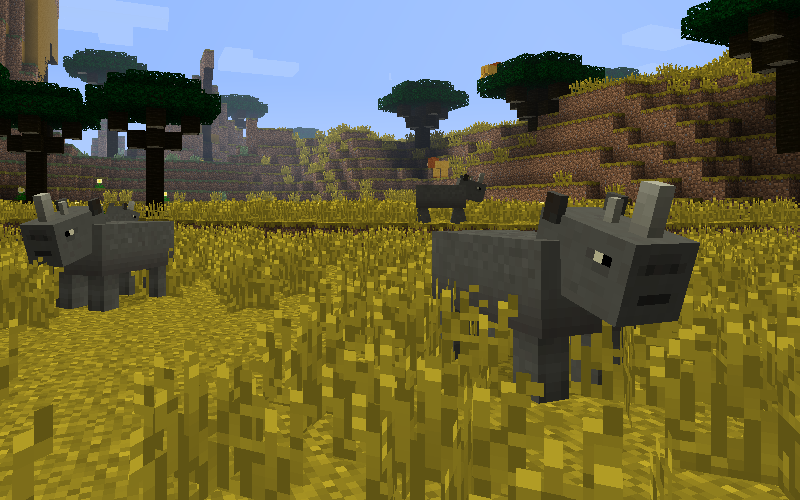 While most Rhinos you might find in the wild would probably charge if you decided to attack them, these ones don’t. Why not? Who knows? Perhaps one day they will. You might not have heard of a Gemsbok before, but here they are nonetheless. The horns of Gemsboks can be made into spears which can be thrown and retrieved, and their hide is useful for some quick protection. Gemsboks can be bred with either wheat or corn. And here are the Zazus! Yes, I know there was only one in the movie but it would be silly to miss such a good opportunity for a new animal type. 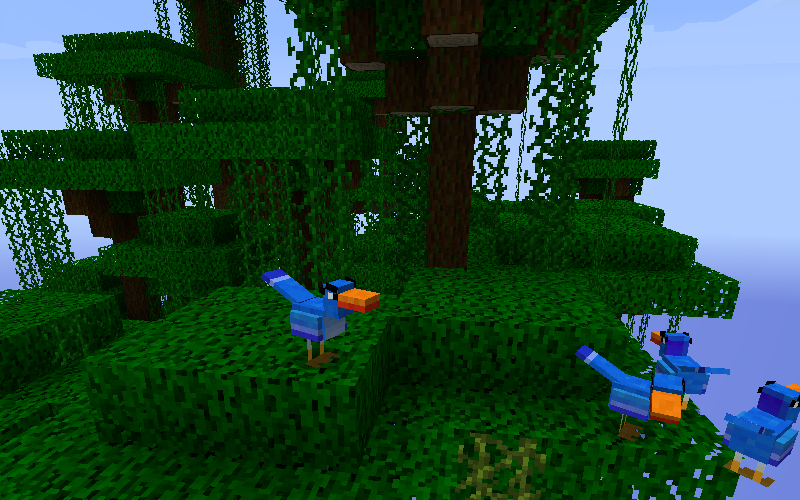 Zazus, unlike the other animals, spawn in treetops, meaning they are more common in the rainforest biomes and less common in the mountains and other places which are lacking in trees. Zazus are bred with seeds, and drop three kinds of feathers: Blue, Yellow, and Red Feathers, in increasing order of rarity, which are useful in crafting darts. Also, if you speak to a Zazu in the morning, he might have a little report to give you. Be warned though, because their puns aren’t really very funny at all. 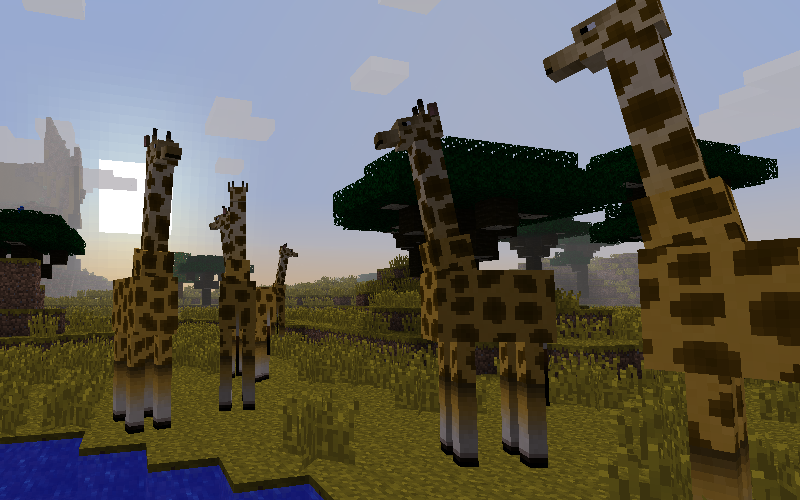 Towering above the other animals of the Pride Lands is the long-awaited Giraffe. These animals are found in the savannah and mountain biomes and can be bred with Acacia Leaves, but much more excitingly, they can also be ridden! A Giraffe equipped with a Giraffe Saddle – crafted with three Gemsbok Hide and two silver ingots – will run at a breathtaking speed across the landscape, almost enough to rival a set of Zebra Boots. Once you have saddled a Giraffe, you can dress it up with a Giraffe Tie! Ties are crafted with three Lion Fur, and just like the fur rugs they can be dyed a variety of stylish shades after being whitened. Hyenas! In the Pride Lands! These filthy slobbering mangy creatures are the main hostile mob of the Lion King world and while one alone may seem easy to deal with, a pack of hyenas packs a powerful punch. 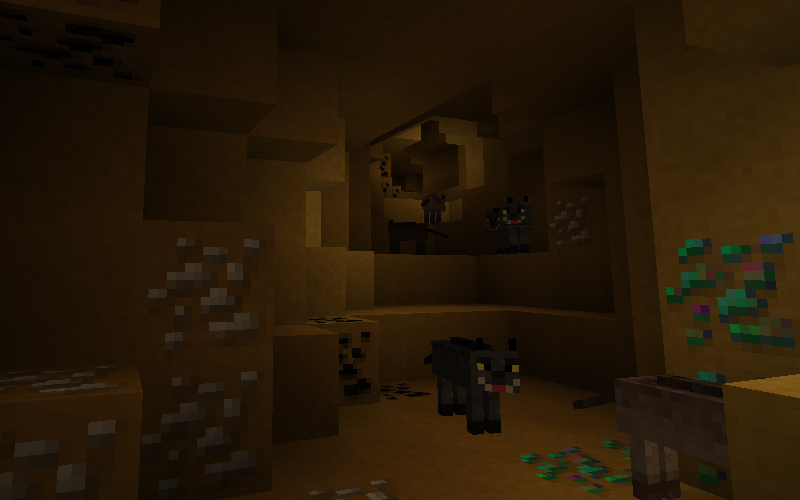 With the strength of a zombie, the speed of a skeleton’s arrow, the persistence of a creeper and the rarity of dirt these Hyenas will ensure that you are well prepared when you venture out at night. They also have the tendency to become bored and try to attack Zazus if there are no players around. Hyena Bones can be ground down into shards and used in crafting darts, and for a variety of other purposes, not to mention that Rafiki seems to have a strange obsession with collecting as many as he can. 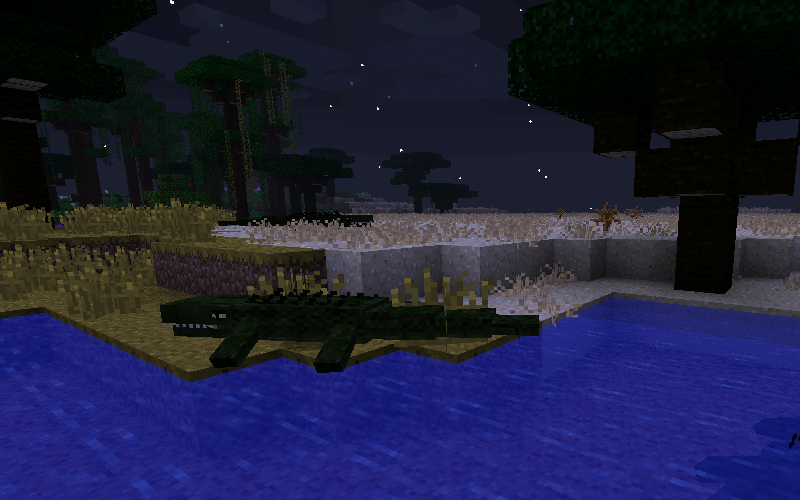 Crocodiles drop meat and often some random animal parts too. If an animal wanders into their area of water, that animal will most likely not be wandering out again. When you get into the Pride Lands, one of the first things you’ll want to make is a Grinding Bowl. You can craft one as shown below with a stick and five planks (the planks can be any type, as long as they were made from Lion King wood). The Grinding Bowl is used to grind various items into a different form: Hyena Bone Shards are used in the making of darts, Ground Mango is for crafting Dart Shooters, and Poison Powder can be applied to Gemsbok Spears to give them a poison effect. Pridestone Pillar blocks can also be placed in the Grinding Bowl to be trimmed down for building and decoration. There are several types of Rug Dye, and most are made from grinding feathers, flowers or leaves – example recipes are shown below. A few other materials can be used to dye rugs too. Before you dye a fur rug, you must whiten it with Rug Whitener. One of the most useful new items in the Pride Lands is the Dart Shooter. 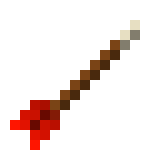 This weapon allows you to fire various different kinds of darts, some with special abilities, and can be considered the replacement for the bow and arrow. To craft a Dart Shooter you will need some ground mango from a Grinding Bowl and two wooden planks. Then you’ll want to start making some darts! Darts are crafted with a hyena bone shard (created by grinding down hyena bones), a stick and a Zazu feather of your choice. Each of the three feathers available – blue, yellow, and red – has its own dart type, and the rarer the feather, the more powerful the dart will be. The Dart Shooter fires darts in order of rarest first, so be aware of this when using it with multiple darts in your inventory. Blue Darts are the most basic darts, and you should be able to gather a plentiful supply of these fairly quickly. These darts have no special effects but a large stock will still prove to be valuable in a brawl with a gang of hyenas. Yellow Darts are slightly more powerful than the blue ones, fly faster, and are more accurate. They also knock back the creature they hit. 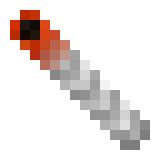 Red Darts, in addition to having the improved effects of the yellow variety, set the target on fire! These are harder to come by, so you’ll probably want to save them for when you really need a bit of extra firepower. 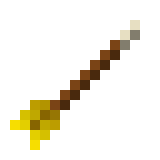 There is also another, more powerful shooter: the Silver Dart Shooter, which is crafted with silver ingots in place of wooden planks. Darts fired from a silver shooter will cause more damage and any special effects will be boosted in some way. Silver Dart Shooters have a lower cooldown period too, meaning you can shoot your darts faster and cook those hyenas more rapidly than ever before! Once you’ve visited the Outlands and raided a few termite mounds you will be able to make a fourth type of dart, unsurprisingly named Outlandish Darts. These are crafted with vulture feathers and you’ll need to use an Exploding Termite as the tip instead of a hyena bone. Outlandish Darts are well worth the reckless self-endangerment though, because they make things explode! Useful for when you’re faced with a completely unfair amount of hyenas, or you just feel like putting a violent stop to the irritating Zazu chirping in the nearest acacia tree. Something else you may find useful is the Dart Quiver. Found rarely in Pride Lands dungeons, each quiver can hold up to six stacks of darts. Aside from the obvious, the advantage of this is that you can carry rare darts with you in the quiver but save them for when you need them, instead of having the Dart Shooter fire all your rare darts first when you want to shoot some blue ones. And finally we have Mounted Dart Shooters. 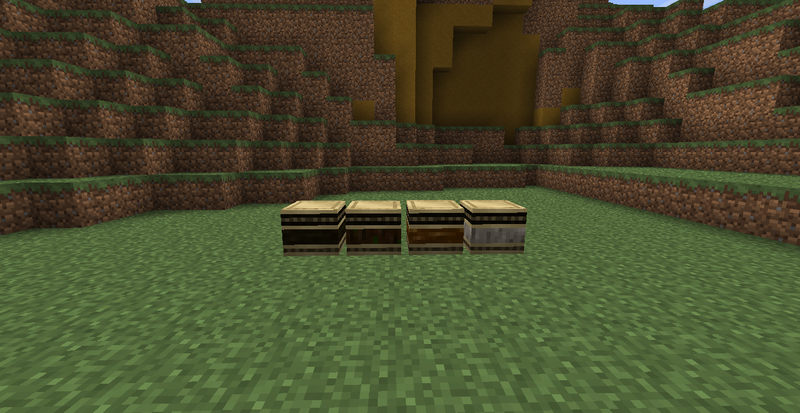 In both wooden and silver variants, these can be upgraded from a standard Dart Shooter and placed into the world. 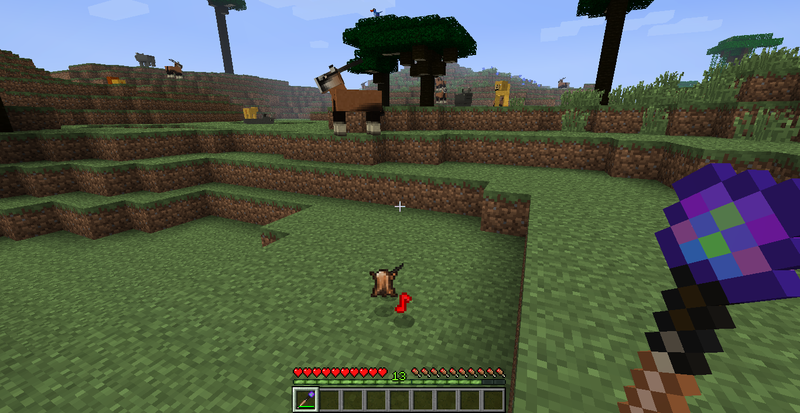 A mounted shooter can store up to a single stack of darts and will fire in the direction it points when powered by redstone or a switch such as a lever or button. 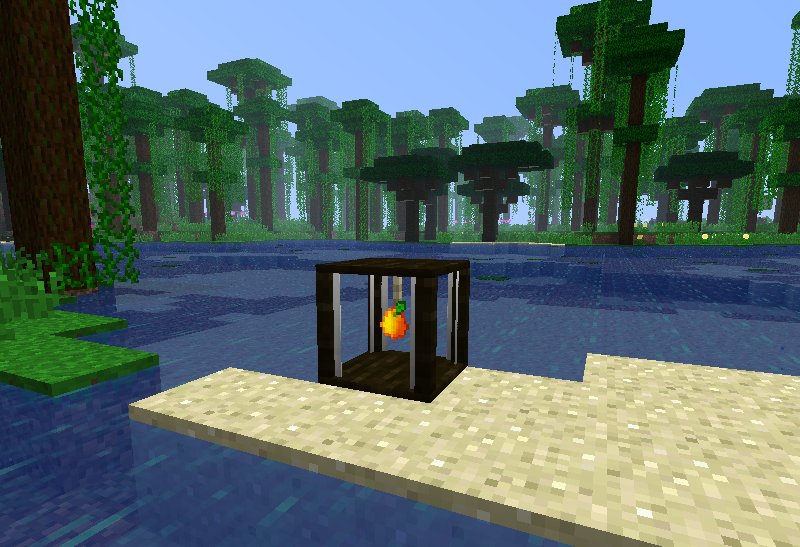 Since the diamonds to make an Enchantment Table are not available in the Pride Lands, there is a new method of enchanting your tools and items here. First, craft a Bongo Drum. These come in different types – one for each wood variant in the Pride Lands – but all behave the same way. You’ll need three zebra hides and five of your choice of wood. 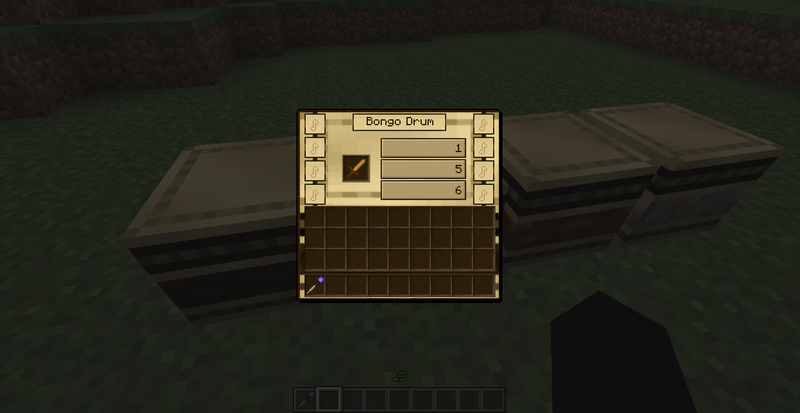 The Bongo Drums can also be used to play music like Note Blocks, but with a certain special item, their enchanting powers can be unlocked. This item is the Rhythm Staff. To craft a staff you will need a Peacock Gem and two Gemsbok Horns. 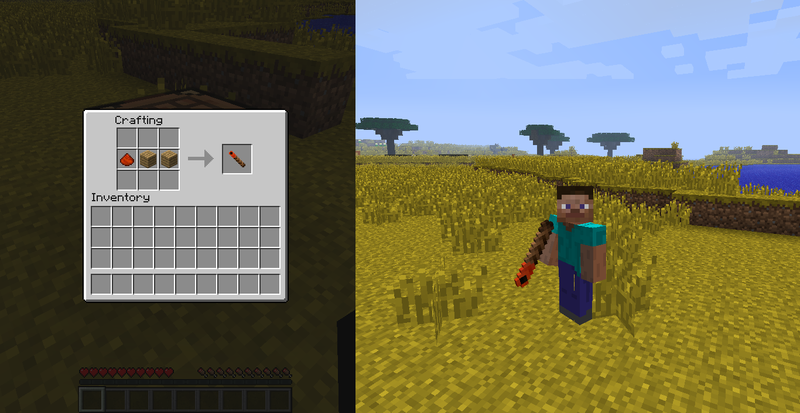 When you activate the drum with this staff, the enchantment GUI will appear and you can place an item in the slot and enchant it. At this stage the drum’s power is limited, just like an enchantment table with no bookshelves. So how do you power it up? That’s where the Rhythm Staff comes in again. Any creature killed while holding the staff has a chance to drop musical notes, and the rarer the note, the more power it will give to the Bongo Drum. There are seven variants of musical note, and their power and rarity increases as the scale goes up: the C note is the weakest, with a few needed to boost the drum’s power, and the B note is the most powerful, with one note boosting the drum’s enchantments by many levels. B notes cannot be obtained with the staff, and are only found in Pride Lands dungeons. 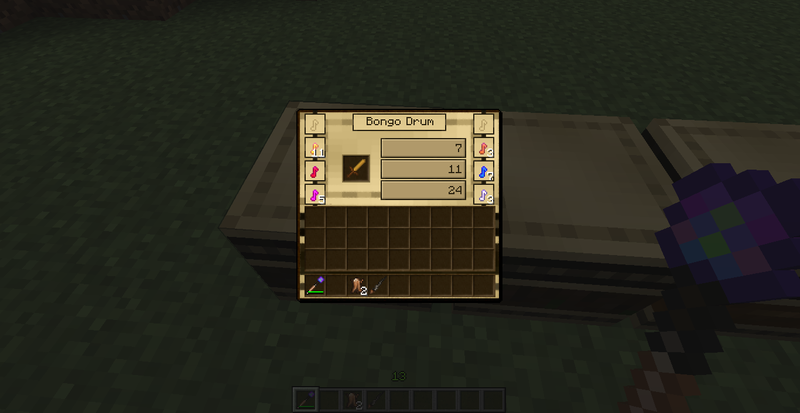 Place the notes into the slots in the Bongo Drum and you will be able to steadily increase the levels of your enchantments! There are also some new enchantments to be discovered: examples include Rafiki Stick and Tunnah Diggah enchantments, and an enchantment for swords that makes them more effective against hyenas. 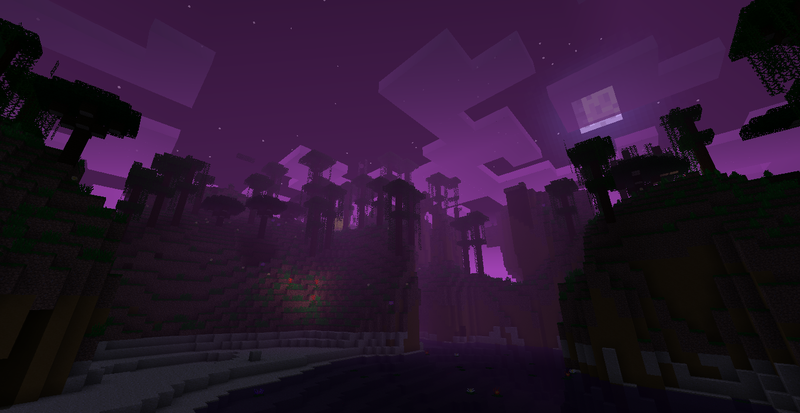 The Outlands is the second dimension in this mod. It is not accessible from the start – in order to unlock it, you have to progress to a certain point in Rafiki’s Quest, after which the Outlands Portal is opened and you may visit the dimension freely. There is only one Outlands Portal, but after some questing and exploring you may find another way to travel between this world and the Pride Lands. The Outlands is a dark and dangerous realm, full of wicked Outlander lions long ago exiled from the Pride Lands. The lionesses will attack on sight, while the lions are not as vicious but tend to become aggressive if you stay near them for too long. 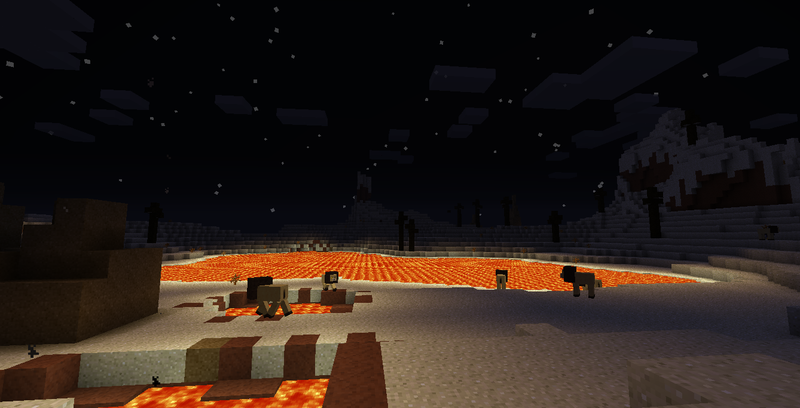 Outlanders attack in packs like wolves and zombie pigmen, so be careful of attacking one if they have friends around. Dead trees and termite mounds litter the landscape. The termite mounds have been known to occasionally have small amounts of treasure inside, although they usually contain a much more explosive surprise! Underground in the Outlands you can find a couple of new ores exclusive to this dimension, and Corrupt Pridestone, a variant of Pridestone which can be made into a different range of building blocks and tools. This realm is also home to the second quest of the mod: An Outlandish Scheme. In order to begin this quest you will need to find the large, unusual termite mound which will be located not too far from the portal. Upendi is the third Lion King dimension, originally added some time ago, then removed, and re-added, improved and made accessible. The existence of this world is a little-known secret, and if Rafiki has a way of getting there, he hasn’t mentioned it yet. 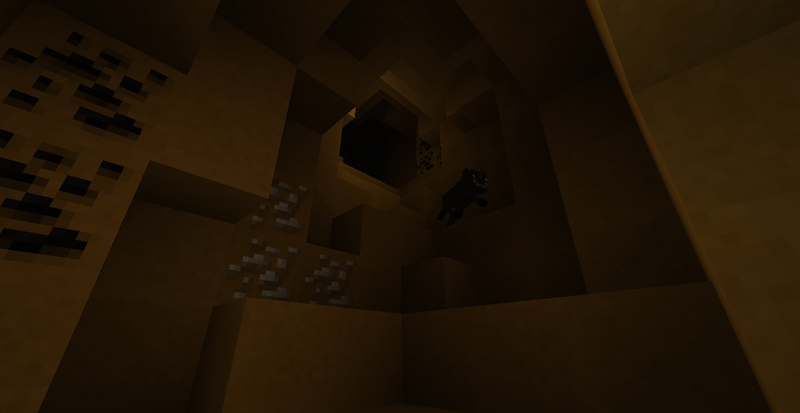 Instead, the way to enter Upendi is hidden deep underground, in the Pride Lands dungeons. A dungeon will occasionally contain a Passion Sapling in addition to its other rewards. 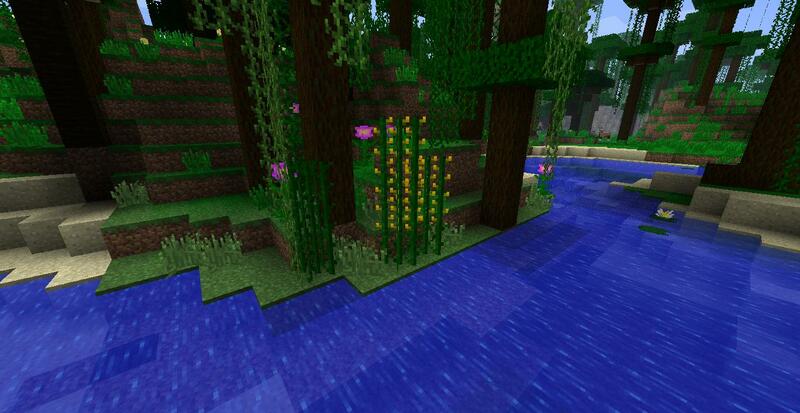 These saplings can be taken and planted like the other saplings, but do not grow naturally in the Pride Lands. They do however respond to the powers of the Rafiki Stick, if you have obtained it from Rafiki yet, and will grow into a Passion Fruit Tree. When you break the leaves of this tree or leave them to decay, they have the chance to drop Passion Fruit. And eating a Passion Fruit when your health bar is full will take you to Upendi! The Upendi world is similar to the Pride Lands, with the same animals and wildlife, but with breathtaking scenery: huge forested mountains rise out of deep purple lakes, and the landscape at night glows with tall red flowers and a bright pink sky. 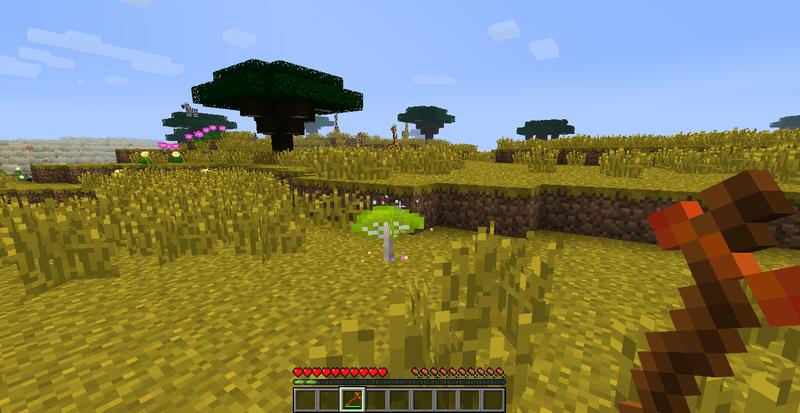 No hostile mobs spawn in Upendi, and Passion Fruit trees can be found naturally and grow from saplings without the need of the Rafiki Stick. Eating a Passion Fruit will take you back to the Pride Lands. In the future, exclusive animals will be added to Upendi to provide more of a reason to go there, and maybe even a quest or two. Next, open the folder named jar, and place everything inside it into the minecraft.jar. Do not copy the actual jar folder, just its contents. Remember to delete META-INF. If you’ve done that correctly, the mod should now be ready to play!